Experiencing a vehicle problem is sometimes unavoidable. Even if you try your best to keep the vehicle functional, there are instances that you cannot control. Hence, you have to call Silverline Towing right away when things go wrong. Silverline Towing offers roadside assistance and towing services 24/7 in the East Bay area.We perform our services with the cooperation of an independently owned and licensed tow truck operators. Our techs are highly professional, using state of the art equipment, so you will not be stressed out when auto emergencies are happening to you. Just give us a call and we will be with you ASAP. Even if it is night time or day time, you can guarantee that someone is there to fix your vehicle right away. At Silverline Towing, we make it a commitment to provide excellent roadside assistant services anytime and anywhere in the East Bay. 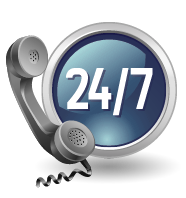 We ensure that your vehicle needs are provided right away by making our services available 24 hours a day in 7 days a week. We also give the best we could because we understand that experiencing a vehicle breakdown is traumatic, stressful and frustrating. If ever your car runs out of gas or its locks are not doing well, you can always call our number. We have several service representatives who are friendly, accommodating and reliable. We also work with auto technicians and locksmiths who are licensed, bonded and insured so you can guarantee that the best services are provided at the right price. Nevertheless, calling our company for roadside assistance will surely give you a peace of mind. Our customers are always happy and satisfied with the kind of services we provide because we have reasonable rates and no hidden charges. Even if you call at night where everybody is sleeping, the prices never change. We make it a point that you can get the worth of your money especially when your vehicle is in trouble. Just give us a call and let us know what you need. Our people are ready to serve you anytime. Surely, you will be one of the many customers who are truly grateful for our roadside assistance services. All Right Reserved Silverline Towing | © 2019.